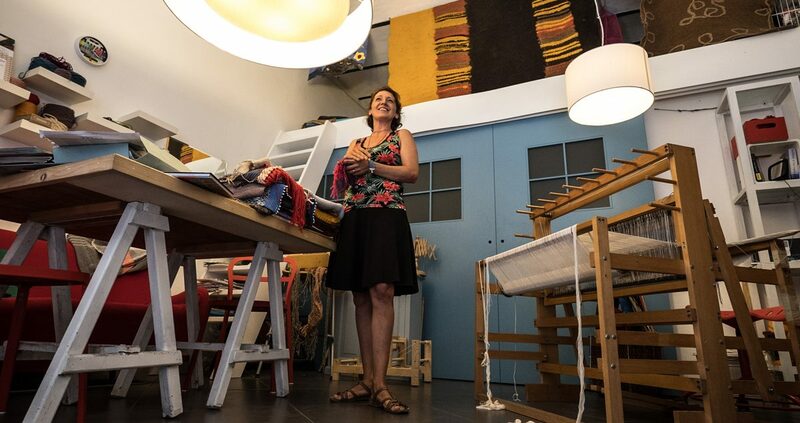 Giulietta Salmeri, born in 1976, a Palermo weaver. In Palermo there are streets of artisans, streets of meetings, streets of relationships. Palermo is Ersilia, one of “The Invisible Cities” by Italo Calvino, a city of trades. But Ersilia is everywhere. And MYOP tells about exchanges and landscapes, but each face is the landscape and every landscape is woven. Giulietta tells herself as the shuttle slides, while her four-heddle frame plays colors, which meet in rigid rules, unhinging them, transforming them. Giulietta is self-taught. He graduated in foreign languages ​​and literature, attended a Masters in Equal Opportunities, took care of transnational cooperation activities, but his thoughts always return to the passion for the plot, first encountered with the crochet and then with the frame. 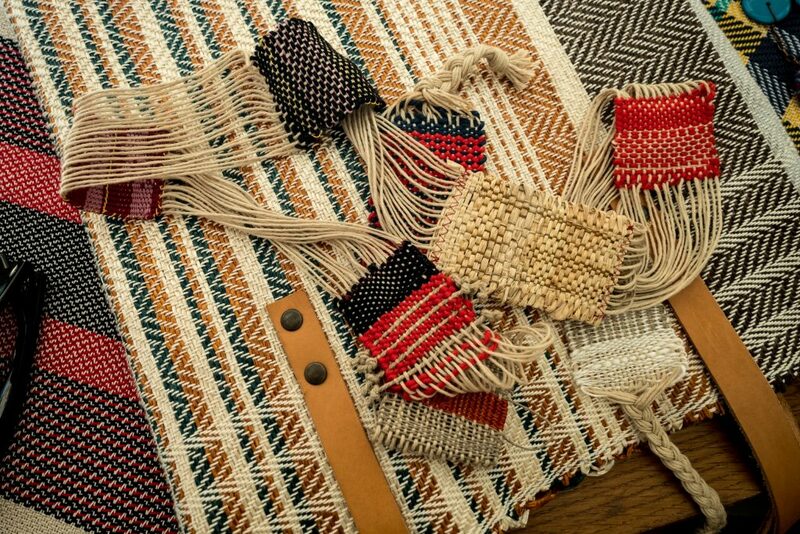 “While I was weaving, weaving, weaving, reading and observing, I began to look through the fabrics, trying to discover the interweaving, imagining and experimenting combinations of colors, and Tessevo weaving and weaving.” His first improvised frame is the back of a chair, in Spain, during Erasmus. From which moment it no longer stops working with yarns, but comes to feel the need to deepen. 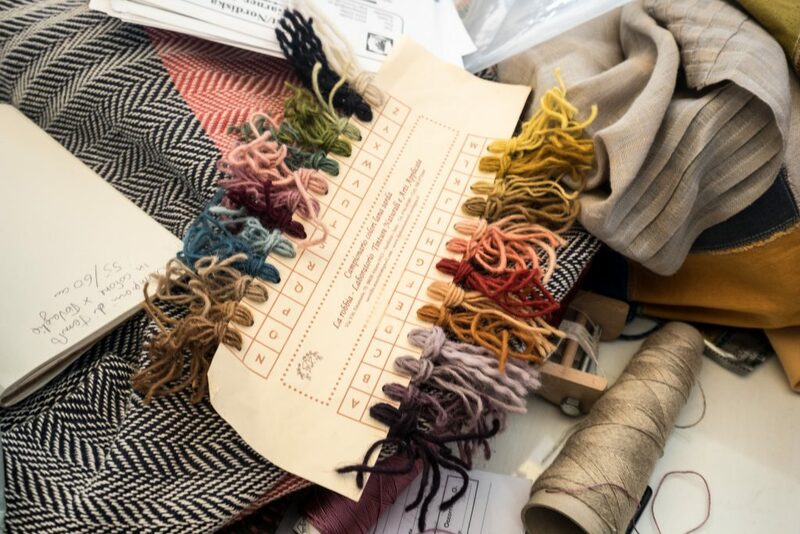 With Renza Cocchi, Renata Bonfanti, Paola Besana, back to the frame with two heddles, back to the “simple” things, to the basics. But it is like coming home, renewing one’s own experience of doing.